The remote for my 5000T has an irritating fault. Although it works very well in general, the main On/Off button is now very unreliable. I find I have to press it several times, at different angles, to get the red light around it to light up - as soon as it does the box responds perfectly. I have already changed the batteries from the originals and am now using Duracells. I have noted that a number of people have referred to "Logitech Harmony" but, when I look that up, there seems to be numerous versions of them, mostly claiming all sorts of complex features which are of no use to me. All I would want to do is control the 5000T and, perhaps, a very limited control of a Panasonic TV (TX-L32BL6B) - On/Off and volume/mute at most. So with that small requirement, is there one of the Harmony devices which would be ideal or is there something else which could be better? Also, how complex is it to get these remotes working? Far cheaper to take your remote apart and clean the contacts underneath the silicone pads. I thought of that, but it appears to be sealed. It's pretty easy once you grasp how they work. You connect the remote by usb to a computer and install the Harmony software. Then you need to download a device driver for the kit you want to control. In your case just a FVP-5000T and your Panasonic TV. You then create activities. The cheaper ones have a limited number of devices available in your case as you only need two one of the cheapest ones should be fine. From your requirements you need just the one activity say named Watch FVP-5000T and add just the two devices to the activity. While creating the activity the software ask basic questions. After setting up you simply synch your remote with your logitech account (free). Adding extra devices or changing your activity settings is just as easy. I haven't used a cheaper harmony remote as my setup is pretty complex. Hopefully a member who has similar requirements will recommmend a suitable model from the cheaper models. Some of them cost a similar amount of money to a genuine Humax remote replacement. Typical questions Like which device do you use for the video source answer FVP-5000T, What device do you use for the sound - answer Panasonic TV, which input on the TV is the FVP-5000T connected to - HDMI ?? When you start the activity - The remote boots the FVP-5000T and the TV and selects the correct HDMI input. When you close the activity by default the remote turns off the power to all the devices. Say you had a Blu-ray player also connected to your TV and created an activity Watch Blu-ray with a device for your blu-ray and your TV. Switching from Watch FVP-5000T to watch Blu-ray, put your FVP-5000T in sby and switch input on the TV to the HDMI input your blu-ray is connected to. I am sorry Graham, but that sounds horribly complicated for a simple soul. I haven't much of a clue what you are talking about, even though I have carefully read through it all. It's really very straight forward. It's harder to describe than actually do it. I am using "One-for-All" URC-7140 Essence 4 remotes in each room to control the TV, Humax, DVD and AV amp. One room has a Humax HDR-1100S and the other has a Humax FVP-4000T. They are available from Amazon UK (£16), Currys (£20) and Argos (£22). Thank you Graham. Having looked at the videos etc., I think I will give the Harmony devices a miss, they just seem far too complex and sophisticated for what I need. 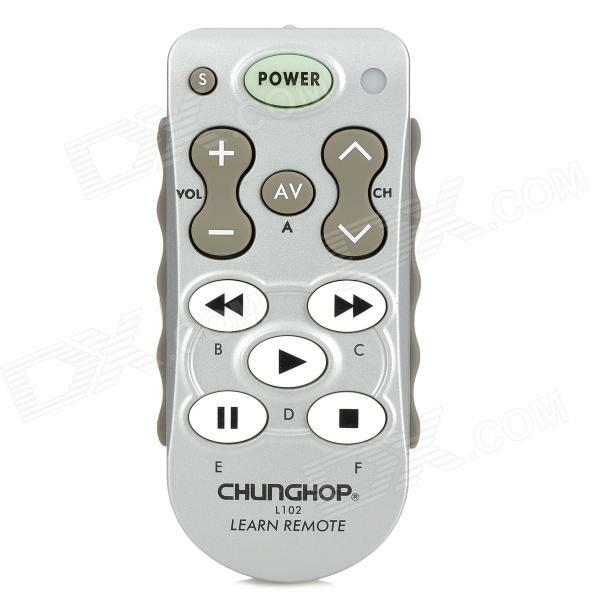 Anyway, I have remembered an old, very simple, programmable remote I have got. I just dug it out, reprogrammed one button for 5000T on/off and it seems to do the job just fine. The 5000T remote is OK for everything else. Agreed 100%. I purchased one myself and it's the spawn of the devil, a truly horrible complicated piece of kit. The wife refused point blank to entertain it and I couldn't blame her. I sent mine back for a full refund. I much prefer using an individual remote that comes with a device, in our case all 7 of them.